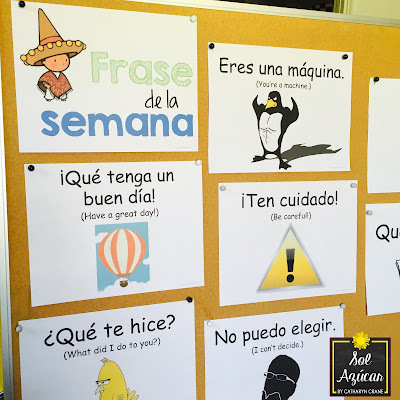 Incorporating a Frase de la Semana is a great way to introduce students to fun, useful Spanish terms that they may not get much exposure to otherwise. 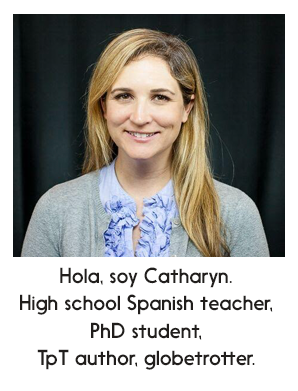 Over the last two years, I’ve slowly collected my favorite colloquialisms, slang terms, and generally useful Spanish phrases and put them into cute posters that I print off to hang in my classroom. Check mine out or you can easily make your own! At the start of the week, I introduce the “Frase de la Semana” to my class, practice pronunciation, and go over a few example uses. Students then try to incorporate the phrase into their speaking that week. When we hear each other using it, we yell out an “¡aye, sí!”. I of course try to fit the phrases DRAMATICALLY into my speech throughout the week. 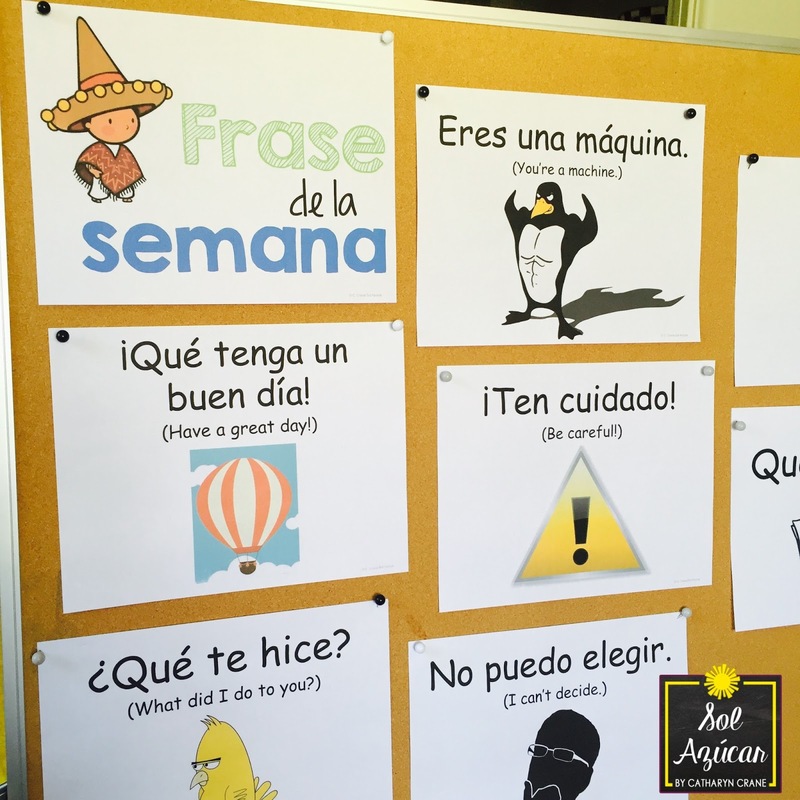 Print out each phrase on an 8 1/2 x 11 sheet and post all of them to create a colorful bulletin board where all the Frases are posted. Students will see the terms on a daily basis, reinforcing vocabulary acquisition. Print in color or in black and white on colored card stock. Print out 16 phrases to a sheet, cut them up, and you have instant flash cards! Give each students a set to keep in their notebooks throughout the year or create sets for small groups of students to use as a quick flash card review activity. Distribute one or two of your Frase de la Semana flash cards to each student. Students work in pairs (or 3s) to act out a short skit in which they have to use their assigned Frases. Establish a location and relationship between actors. Give students 10 minutes to practice and play with ideas, then select a few or all to share in front of class. No scripts, no writing, just speaking on the fly! You might also consider having students brainstorm a list of Spanish phrases they really wished they knew. Use that list to generate your own unique set of Frases that will be super relevant to your students. Could be fun to have each student take a Frase and create their own mini poster for it. 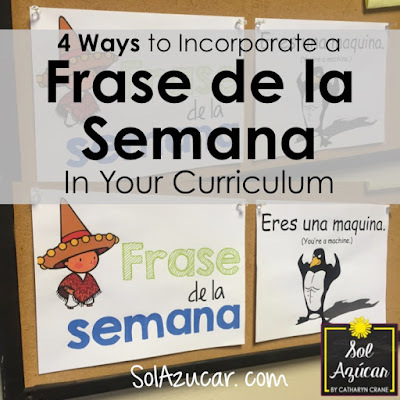 What other ways have you incorporated a Frase de la Semana into your Spanish curriculum? Would love to hear from you!